From documenting the very first meeting to the first days, and then months, it’s a delight to photograph your family when the newest member arrives. I will take photos of your growing family — often in your own home — during one of the most transforming, tiring yet life-giving seasons. As a fellow mother, witnessing new life and capturing these moments of motherhood is my privilege and passion. *Receive $100 off when you book multiple New Baby Sessions. The intensity, the hard work, the anticipation and the excitement. There are so many emotions that accompany labor and birth. 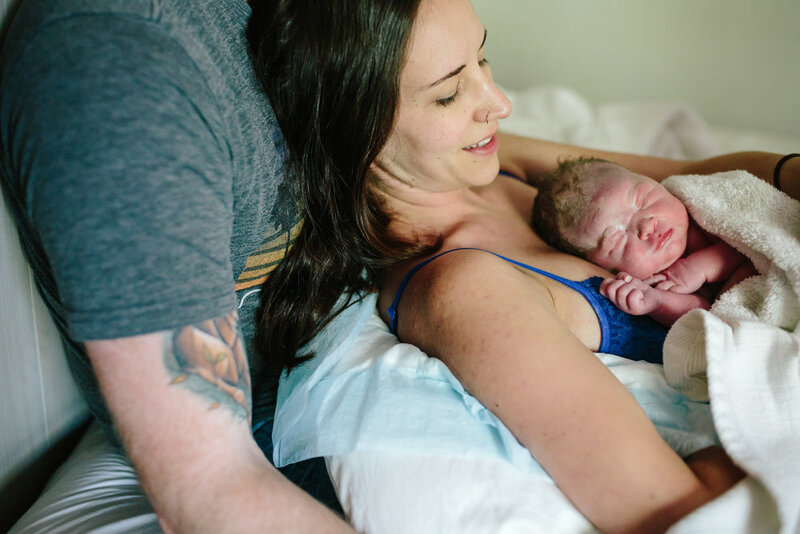 I would be honored to document each of these — to record for you the joy that the tiniest family member brings as you welcome them into this world. If you are interested in having your labor & birth photographed, I would love to talk with you about birth photography options and capturing the arrival of your new baby. During the first year, your little one changes rapidly and each stage seems to fly by quicker. Invest in a Portrait Bundle that includes milestone sessions to document each sweet stage. Portrait Bundles begin at $1,200.